Meanwhile, in a small bowl, combine mayonnaise and garlic; season with salt and pepper. Place bread on a work surface. Dividing evenly, spread with mayonnaise mixture, and top with vegetables, then cheese. 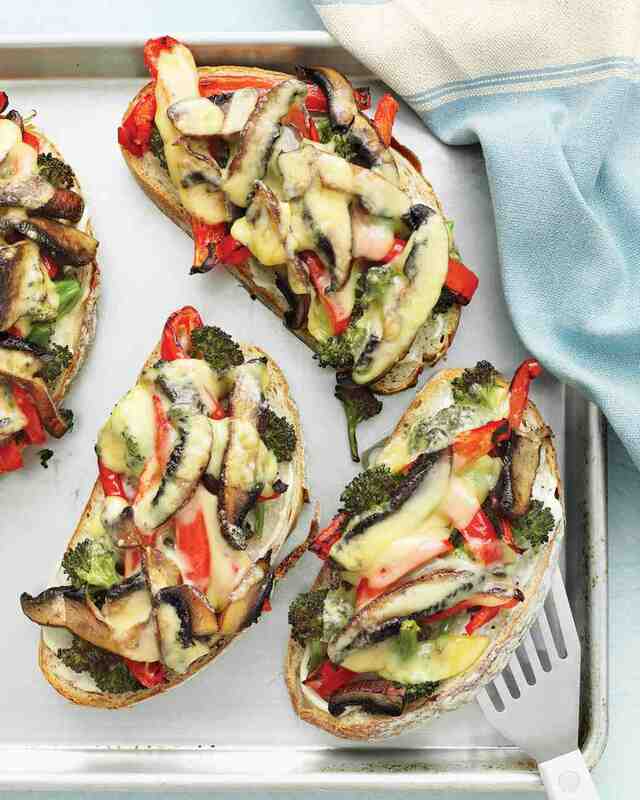 Place on baking sheet, and broil until cheese is melted and lightly browned, 2 to 4 minutes.